Transformar imagens comuns em pinturas a óleo em um par de cliques. Foto da Pintura é uma nova ferramenta de software por SoftOrbits, visando transformar imagens comuns em pinturas a óleo em um par de cliques, usando automática presets. Ele tem três opções principais: Pintura a Óleo, Aguarela, Desenho e Impressionismo. Cada preset pode ser ajustado manualmente para produzir uma pintura única. A conversão de fotos de pinturas é fácil e rápido como um raio, os resultados podem surpreender até mesmo os mais sofisticados gosto! Just a friendly PSA: Please remember that GotD is communicating with hundreds of companies each year to give us FREE software. Some are awesome, some not so much, but please try to be kind. Maybe if we offer more positive reinforcement and encouragement to developers...and each other, software developers will see GotD as a more positive and opportunistic platform and we'll get better and better software. Personally, I don't have a need for this software, but hopefully some of you do and enjoy it. And no, I'm not a shill, nor am I affiliated with GotD or SoftOrbits...just trying to be a little optimistic and offer some insight. Just a friendly PSA: Please remember that GotD is communicating with hundreds of companies each year to give us FREE software. Some are awesome, some not so much, but please try to be kind. Maybe if we offer more positive reinforcement and encouragement to developers...and each other, software developers will see GotD as a more positive and opportunistic platform and we'll get better and better software. Personally, I don't have a need for this software, but hopefully some of you do and enjoy it. And no, I'm not a shill, nor am I affiliated with GotD or SoftOrbits...just trying to be a little optimistic and offer some insight. This program seems to hang intermittently. This leads me to believe that the program is using unnecessary resources. Bare minimum, it is acting suspiciously? Furthermore I cannot seem to register the program. I get a popup telling me that there is an error whilst trying to connect to activation server. This happens even if I disable firewall completely! However, if I click on the popup offering the program at a 70% discount my browser opens INSTANTLY to take me to their shopping cart..lol. I will be uninstalling. 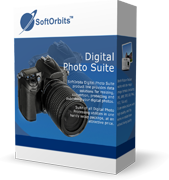 Had problems in the past with Softorbits Software, so I shall not bother installing ANY of their software in future, free or not!! This program seems to hang intermittently. This leads me to believe that the program is using unnecessary resources. Bare minimum, it is acting suspiciously? Furthermore I cannot seem to register the program. I get a popup telling me that there is an error whilst trying to connect to activation server. This happens even if I disable firewall completely! However, if I click on the popup offering the program at a 70% discount my browser opens INSTANTLY to take me to their shopping cart..lol. I will be uninstalling. 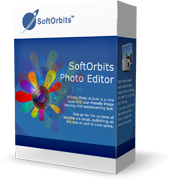 Had problems in the past with Softorbits Software, so I shall not bother installing ANY of their software in future, free or not!! Installing, registering and starting the program worked fine. I put a photo in it, tried to get an effect but nothing happened. Then it crashed. I tried several times. It's crap don't bother! Tried the first default oil painting preset. Wow - this is super-slow! After several minutes it was at 40% and I gave up waiting. This is near to unusable. Tried it on a picture I took with my DSLR. It's a 24mp photo. I got a "Failed to Allocate Memory" error message.